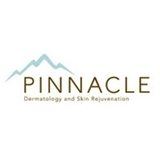 Pinnacle Dermatology and Skin Rejuvenation (Bellevue) - Book Appointment Online! Very friendly staff, and the doctor was also very friendly and efficient. I’ve already recommended her to several people!